Customers may have recovered from the E. coli contaminations of nearly a year ago, but Chipotle Mexican Grill is still feeling poorly. The former high flyer has tried everything short of hypnotism this month to lure back former fans, giving away sodas, kids meals and drinks, and generously rewarding patrons who visit often. Yesterday, it started pleading its case for a second chance directly to the public, running ads that detail what’s been done to ensure safe food. The effects on consumer behavior will be seen in time, but executives of other restaurant chains can start reaping some intended benefits immediately. The list of Chipotle’s remedial efforts, presented in the form of a letter from founder and co-CEO Steve Ells, is a step-by-step guide for any chain official who wants to avoid the sort of crises that cut Chipotle’s traffic by roughly a third. Here’s a review of what Chipotle says it’s done, with some of the spin negated. Ells didn’t reveal in his letter exactly what the chain’s vendors are doing differently today, but he promised the public that ingredients are less vulnerable to contamination than they were before the late-2015 safety lapses. On Chipotle’s website, more details are provided. For instance, the chain notes that suppliers are required to do bacterial testing, and to document what they do even at the harvesting level to protect food from contamination. All products also have to be barcoded (see below). Here again, Ells isn’t specific in the ad. But Chipotle explains on its website that it’s employing technology that uses high pressure rather than chemicals to kill bacteria. The chain also requires its suppliers to use the high-pressure safeguard. Chipotle’s food safety problems were viewed by some fellow operators as a warning about the use of small-batch local ingredients just a step or two away from their cultivation source. Buying from small-scale growers might yield greater freshness, but producers of that size often lack the resources to safeguard food the way a corporate farmer might. Ells says the chain is helping its growers raise their standards by providing funds and training. Ells and other members of the executive team have noted such steps as using sous vide meat, so less raw food is prepped in stores, and blanching some produce as a kill stage. Ironically, though Ells didn’t note as much in yesterday’s ads, the techniques have drawn some pushback from customers, who say they can detect a difference in what’s served. Chipotle confirmed that it resumed sending whole heads of lettuce to stores after briefly shipping lettuce presliced from commissaries. Patrons, it acknowledged, did not like the change. 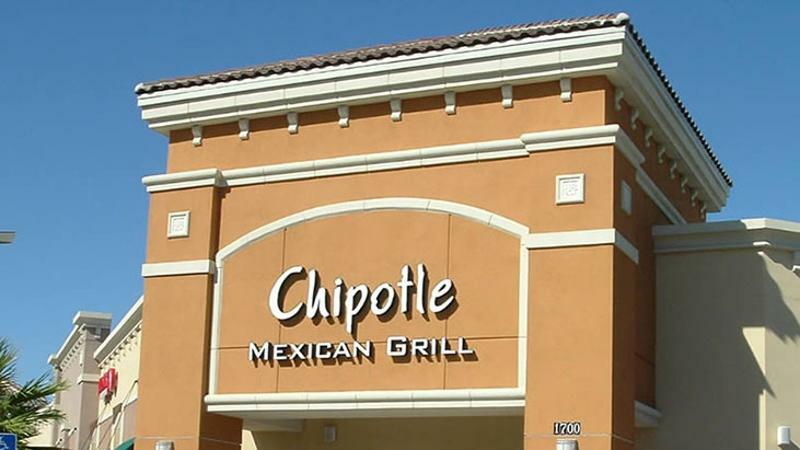 Chipotle says it’s also discovered a natural disinfectant that kills both bacteria and viruses. Ells says his brainchild is the first national chain to require certification on such an extensive basis. Six to eight restaurant employees per restaurant, including kitchen managers, service managers and general managers, are required to pass the ServSafe program. Field-level supervisors are trained in HACCP principles and practices. Field supervisors are required to inspect their charges biweekly. In addition, a third party has been contracted to review a store’s sanitation level once a quarter. Those inspections are in addition to visits by local health inspectors. Barcoding ingredients has been slow to catch on in the restaurant business, but Chipotle says it’s fully embraced the practice. Every case is barcoded with info that includes the date the ingredients were packed, their expiration date, the source and the lot number. The barcode is scanned at every step of the distribution process. The fast-casual chain has assembled a super group of food safety rock stars, including the man who’s credited with saving Jack in the Box after the industry’s worst food contamination, David Theno. Reuters reported in May that the scourge of E. coli has been retained as a consultant. Theno can talk bugs at will with Jim Marsden, the former head of meat sciences for Kansas State University and one of the nation’s most respected authorities on food safety.